Designing a kid’s room is always tricky since kids have their own preferences. To make the room fun and appealing for them, you should always try to keep their preferences in mind. The walls play a huge role in the central theme of the room, so it’s a good idea to decorate them properly if you want to inject some personality and fun in the room. If you’re planning on making a room that your kids can grow up in, it’s a good idea to opt for neutral tones or wallpaper that has a more mature theme. A good option is using marble wallpaper that is either salmon pink, white or even beige in colour. These can be mature enough to appeal to the kids as they grow older. Keep in mind that when you’re using marble wallpaper, you will have to ensure that you match the decor and the furniture items properly. It’s too easy to end up styling an adult room for your kids if you don’t pay attention. Luckily, most kids like having the same room as they grow up instead of one that keeps changing. Do you have a kid who is always interested in the world, the continents and other countries? Bring the world to them with the help of a map of the world wallpaper. 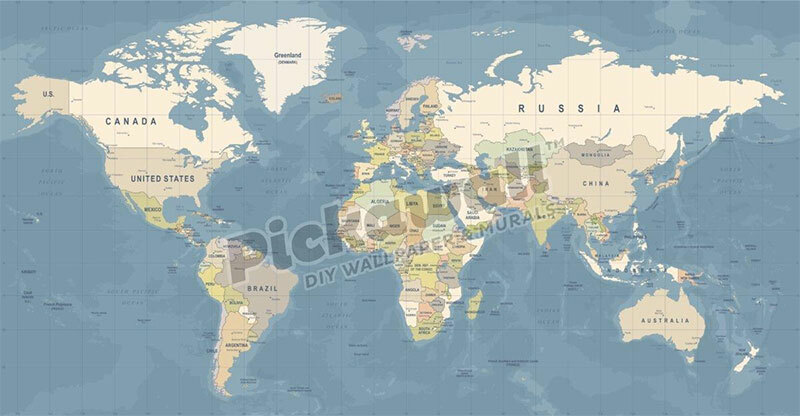 These wallpapers are a great way to teach them about the world and are also perfect to make the most impressive accent wall in your kid’s room. Keep in mind that a map of the world wallpaper has a tendency to look too busy if you’re not careful about the decor and other aspects. A busy wall will tend to become a distraction. It can cut down on the relaxing atmosphere of the bedroom. For this reason, most people tend to use this for the playroom, but if you can style it properly, you can use it in the bedroom without any issues. Almost all kids have an active imagination, and it’s a good idea to encourage this creativity by getting them self-adhesive wallpaper. The best part is that you can find any and all kind of wallpapers online. Pick from a jungle scape, outer space or even a farmyard with animals. Not only do such wallpapers give the room a theme, but they also enhance your child’s imagination. Your kids will love to think of the adventures that they or their imaginary friends are having in the Amazon jungle or a pirate bay. Give your little princess a room that is perfect for her with the help of marble wallpaper. The best part is that you can pick from a wide array of colours. Apart from picking marble wallpaper that matches the interior of a castle, you can also pick and choose from wall murals. However, remember to style the rest of the room in this manner as well. This is where you opt for a cohesive theme that is applicable to the decor of the room and is not restricted to the walls alone. Additionally, if you pick self-adhesive wallpaper, you will be able to have the room prepped and ready in no time. Not everyone wants to be a princess; some girls like mermaids, thanks to Disney’s Ariel. 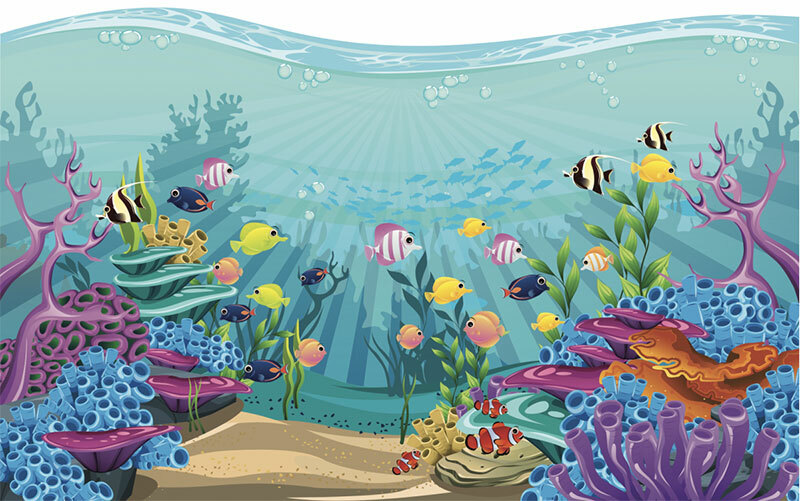 Let them sleep under the sea with the help of sea themed, underwater wallpaper. This can also give you a great colour scheme of blues, purples, greens, oranges, reds and even pinks to work with since you can then style the room like a colourful coral reef. This is also a great theme that your kids can get interested in. The colours are also calming for kids and can keep the room cool during the summers. Additionally, if you grow tired of it, you can easily swap it out with some neutral coloured marble wallpaper, which can enhance the overall appearance of the room. Kids love superheroes whether it’s Batman, Superman or Spiderman. Whether they like a DC or Marvel, you can get them the best wallpaper. A superhero themed room is the ultimate dream for most kids so this is one design theme that you can’t go wrong with. Make sure to pick the right superhero that your kid adores. It’s a huge problem if you pick the wrong one that your kid doesn’t particularly like. 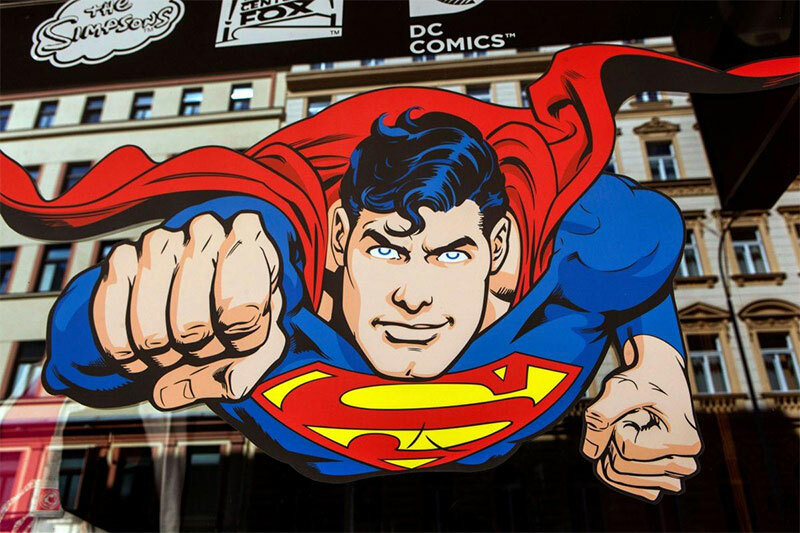 Additionally, even girls can like superheroes, so you can find plenty of gender neutral options when you are searching for superhero themed wallpaper for your kid’s room. If your kid is too small, you can pick the theme of the room. Nothing is more perfect for the nursery than a wallpaper with clouds, a moon and other kid friendly themes. If you don’t plan on changing the wallpaper many times, you can use marble wallpaper since it can be perfect for a nursery and an older child’s bedroom. Such wallpapers are a great idea to have as they promote restful sleep, especially for babies or little kids who don’t always sleep through the night. The multi-purpose nature of many designs of self-adhesive wallpaper means that you can mix and match themes and update them as needed! These design themes will ensure that you have no problems in finding the right wallpaper design for your kid’s bedroom.